Ranging from 14 to 27 feet, the First is ideal for racing and family sailing. Set sail on an Oceanis, the international gold standard in cruising. A new way to enjoy a fabulous time together at sea, yachting BENETEAU style. Enjoy a distillation of technology and innovation, on the first foiling production monohull in the world. Imagine the embodiment of style and performance, in a new day boat.. Ranging from 20 to 30 feet, keen sport fishers will love this pilothouse boat. An ideal weekender, with everything you need to enjoy a short cruise in style. 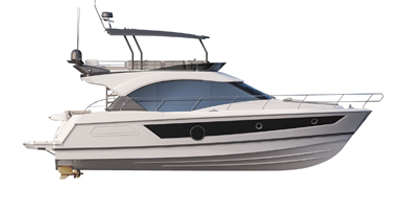 The Antares inboard is a comfortable, easy to handle, family boat, ideal for leisure activities at sea. Experience the sheer pleasure and sensations of a Gran Turismo sport cruiser. Discover the ideal cruiser for you, perfect for exploring new horizons!. Luxuriate in the comfort of BENETEAU’s Premium range – the epitome of style.